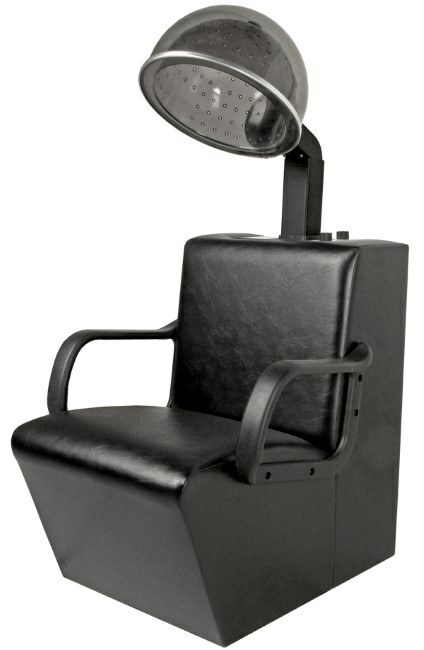 The 440 EKO Value Dryer Chair is new to the Jeffco line ... and it's a great addition. We thought all of the value-priced dryer chairs looked the same, so we decided to make one that's different & better, but still value-priced. The EKO is accommodating, with almost 22" between the durable molded arms. Bolted together at the factory, no assembly is required. Overall 26"W x 32"D x 32"H.
Made for Jeffco and Highland dryers, the 440 EKO chair is stocked in black, but can be ordered for QUICK DELIVERY in three additional great standard colors: Charcoal, Chocolate, or Scarlet.